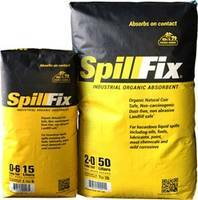 SpillFix® Granular Absorbents are made from natural materials. Used for effective spill absorption of hard to contain liquids, SpillFix® Granular Absorbents are used for absorbing hydrocarbons, chemicals and oil-based solutions. Suitable for landfills, incinerators, indoor or outdoor use, a 20 lb bag of SpillFix® can absorb 4x the liquid of clay granular. 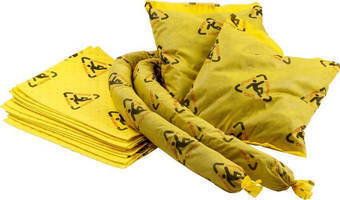 High-Visibility Absorbents keep floors clean, dry, and safe. Along with standard and barrier-backed pads and rolls, Brady SPC BRIGHTSORB™ high-visibility absorbents include pillows, socks, and spill kitsÃ‚- Ã‚Â that help prevent slips, trips, and falls. 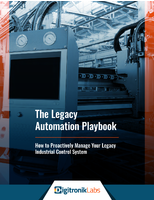 High-visibility materials and printed safety messaging, by drawingÃ‚Â attention to presence of leaks, drips, and spills, increase facility safety. Oil Absorbent is suited for use in ferrous machining. Super-Absorbent Mat will not degrade. Corn Cob Dryer suitable for mass finished parts.